August is peach season with fresh picked peaches in all the markets. 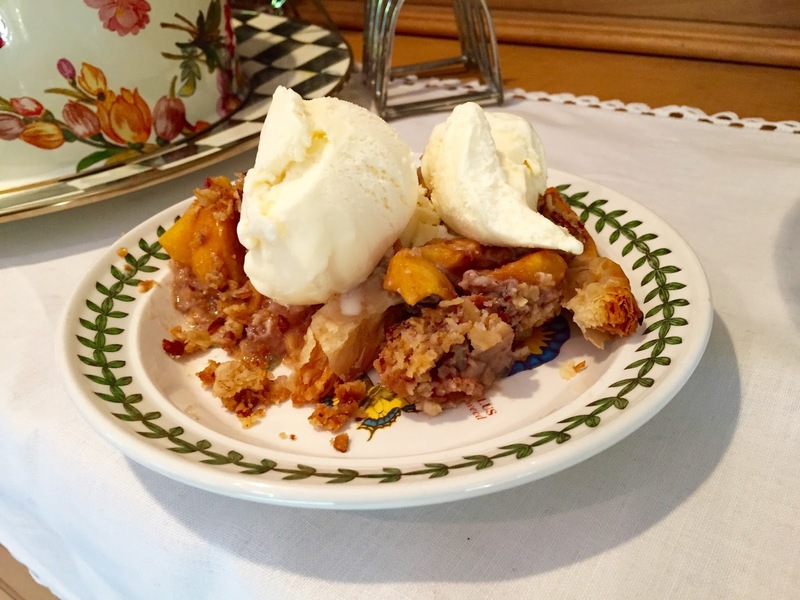 Peach pie is one of my favorites pies(I know I say that about every pie!). Sometimes you have to do something different, go a little rouge, shack it up! That’s what I did with this Peach Pie, I added Peach Schnapps to the filling, added a struesel topping all in a phyllo pie crust. I just let my creative cooking ideas flow for this show stopping pie! Stir flour, oats, sugar, and salt in medium bowl. 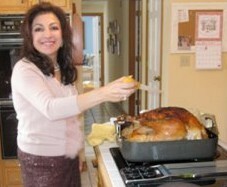 Add butter; rub in with fingertips until mixture holds together in moist clumps. Mix in pecans. DO AHEAD Can be made 1 day ahead. Cover; chill. Stir sugar and next 4 ingredients in large bowl. Mix in Peach Schnapps, then peaches; toss. Let stand at least 20 minutes, tossing occasionally. Lightly butter 10-inch-diameter tart pan. Place rimmed baking sheet in oven to heat. Combine sugar, cinnamon, nutmeg and ginger in small bowl. Set rack at lowest position in oven. Preheat oven to 400°F. Lay 1 phyllo sheet on clean work surface and brush lightly with butter (keep remaining phyllo sheets covered with plastic wrap and damp towel to prevent drying). Sprinkle 1scant teaspoonful cinnamon mixture over phyllo. Repeat 4 times with phyllo, butter, and cinnamon mixture. Arrange stacked phyllo in tart pan, gently pressing and allowing long sides to hang over edge of pan. Repeat layering process with 5 remaining phyllo sheets. Arrange stacked phyllo crosswise atop first sheets so that overhanging corners point in opposite directions. Roll overhang in to form edge of crust. Spoon filling into crust. Scatter topping over, breaking up large clumps. Bake pie 30 minutes. Reduce oven to 350°F; bake until juices bubble thickly and topping is golden, covering edges with foil if browning too quickly, about 30 hour. Cool on rack at least 1 1/2 hours. Serve warm or at room temperature. I love fresh tomatoes right off the vine. Each year I buy a patio cherry tomato plant to enjoy the luscious taste of fresh tomatoes. I’m always amazed at the bounty of fruits that this little plant produces just for me to enjoy. So fresh and tasty I just want to pop them in my mouth as I pick the ripen tomatoes. Cucumbers and tomatoes are a wonderful combination of flavor and texture that goes perfectly together without adding too many other ingredients. For a easy, simple salad of cucumbers and tomatoes I just added a little fresh basil, feta, dressed with olive oil and lemon juice sprinkled with salt and pepper, so simple, so delicious. Place greens around edge of plate. 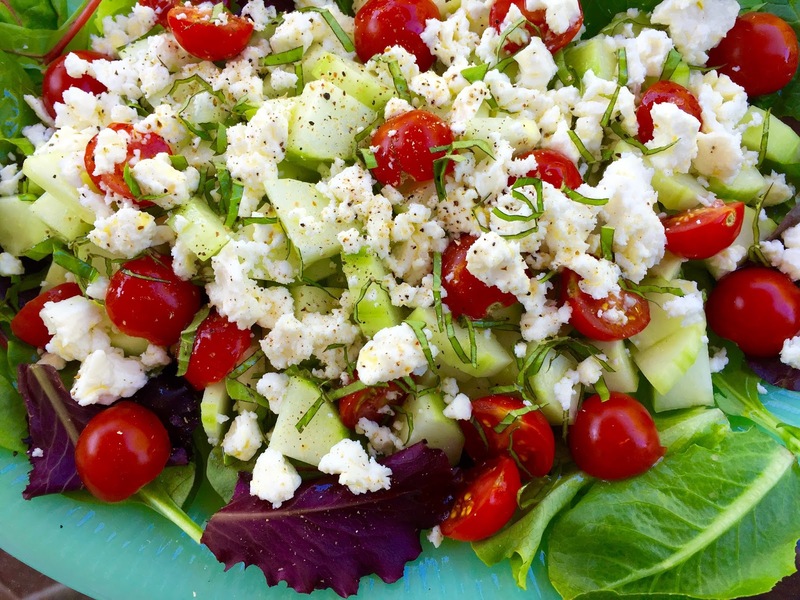 Fill center area with cucumbers, top with tomatoes, basil, and feta. Combine olive oil and lemon juice, pour over salad. Sprinkle salt and pepper on top. Adding fruit and nuts to salad fresh adds a refreshingly sweet taste to tart greens. 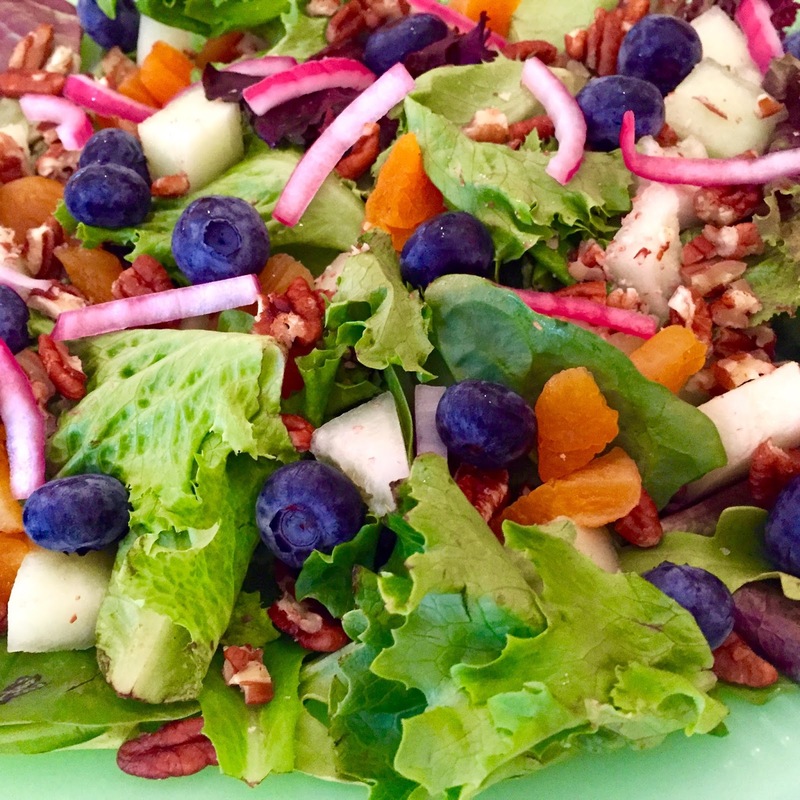 I love the combination of spicy greens with the sweetness of melon and blueberries. 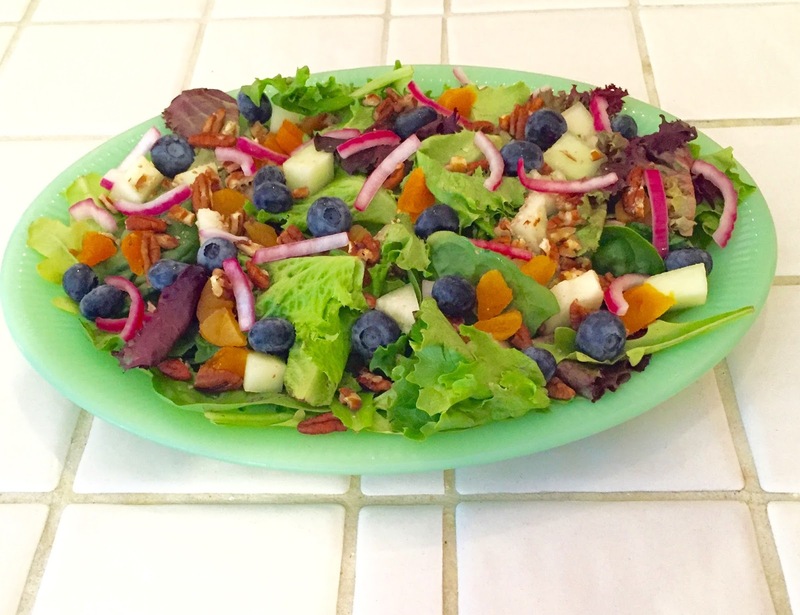 You can customize this salad using any of your favorite combination of fresh fruit. Sometimes I add dates instead of apricots or pumpkin seeds to replace pecans. Use your imagination to create your own special salad. Wash and dry greens. Place on flat plate arranging melon, blueberries, apricots and pecans on top. Thinly slice red onion. Place in bowl pouring 2 tablespoon white vinegar over onions soaking for 10 minutes. Rinse onions and pat dry. Place onions on salad. 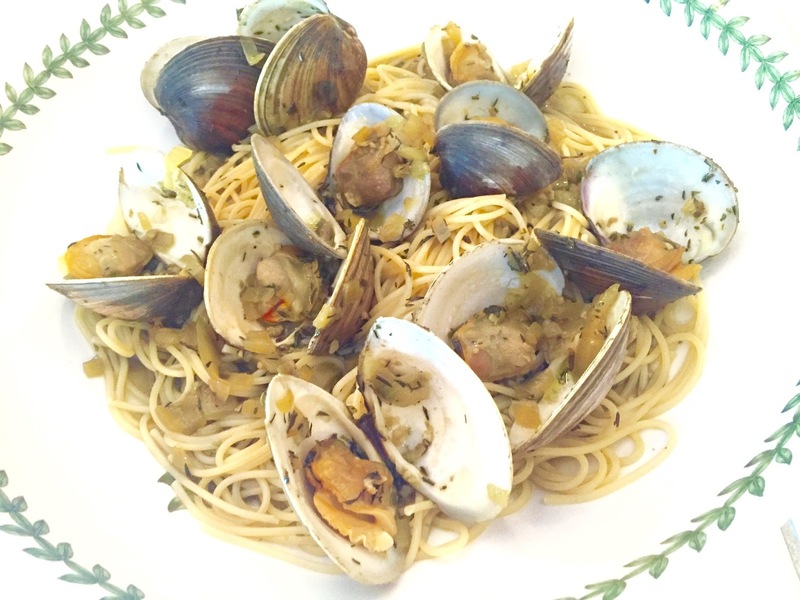 Serve with balsamic vinaigrette. In a small bowl, combine the vinegar, mustard, and garlic. Add the oil in a slow steady stream, whisking constantly. Season with salt and pepper to taste. *Soaking the onion mellows the taste. Can’t get enough of salads, neither can I. Nor can I ever say no to delicious fresh picked tomatoes. 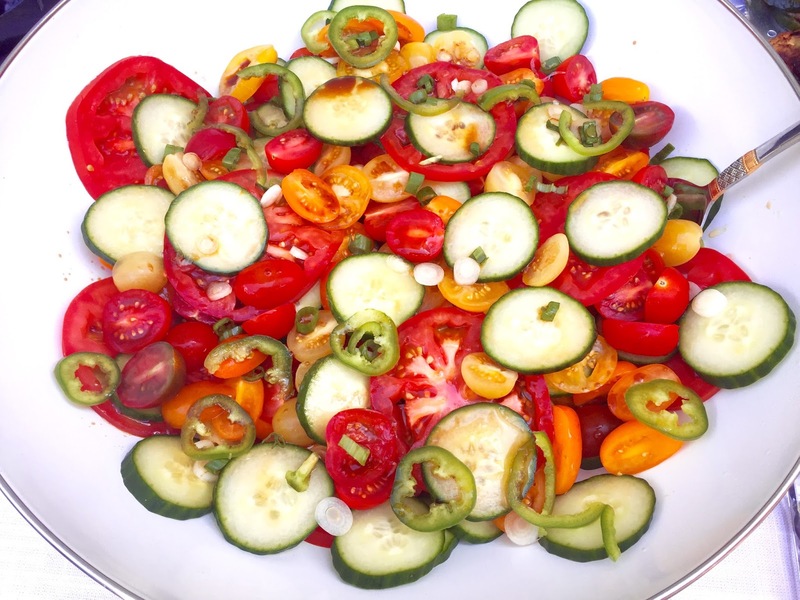 Ah, this tomato and cucumber salad capture the essence of summer, cool, crisp and fresh. 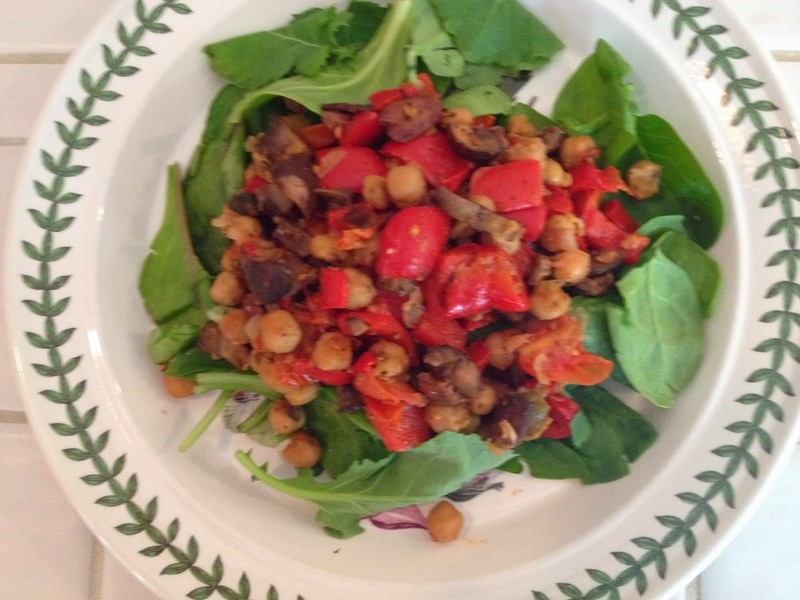 I’ve added a little spice and crunch to the mix creating a refreshing salad that compliments meat or fish. Arrange tomato and cucumber slices on a platter. Whisk together soy sauce, vinegar, olive oil, and sugar in a small bowl until sugar dissolves. 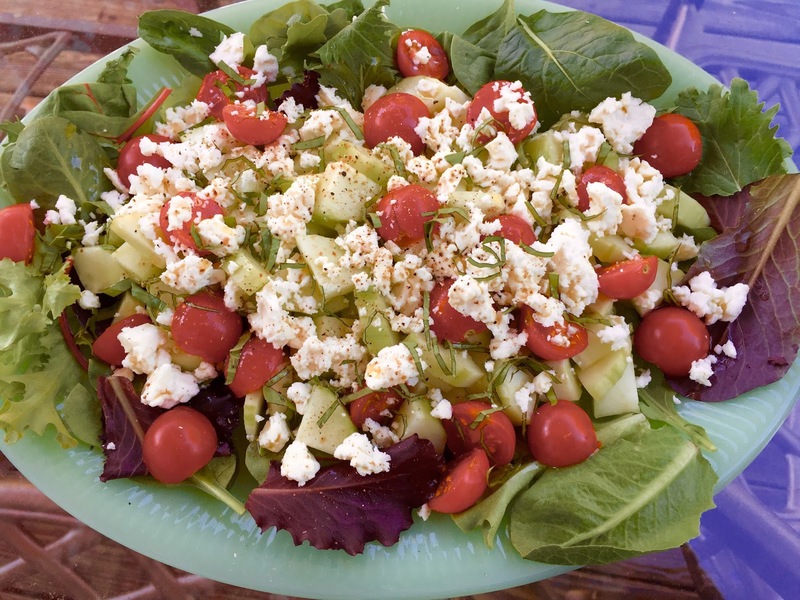 Drizzle dressing over tomatoes and cucumbers, and top with scallions, chile, and pine nuts . Sprinkle with salt and pepper. Serve immediately. Can be made a day ahead. Refrigerate until serving then drizzle with dressing. Summertime is salad time at our house. I love to use the fresh bounty from local farmers markets to create wonderfully fresh and delicious salads. 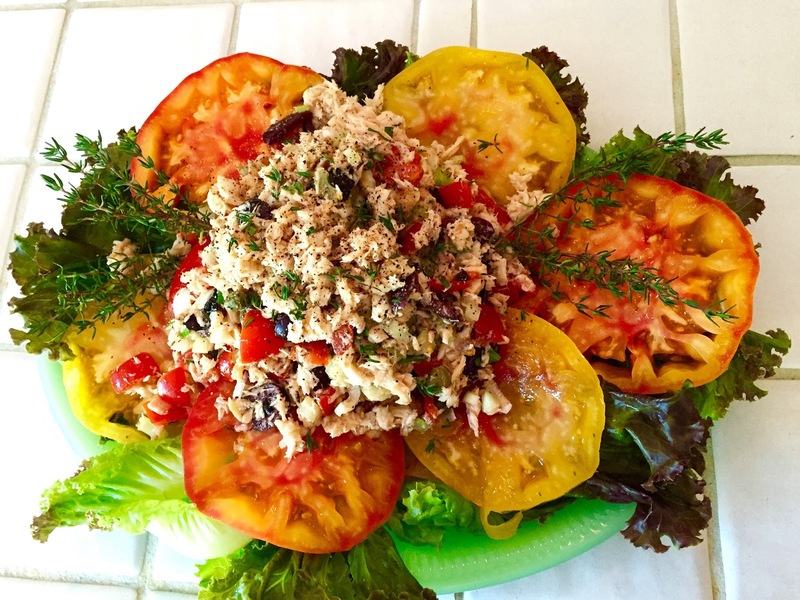 What could be better on a hot evening than cool crisp greens covered with heirloom tomatoes then topped with Tuscan Tuna Salad. 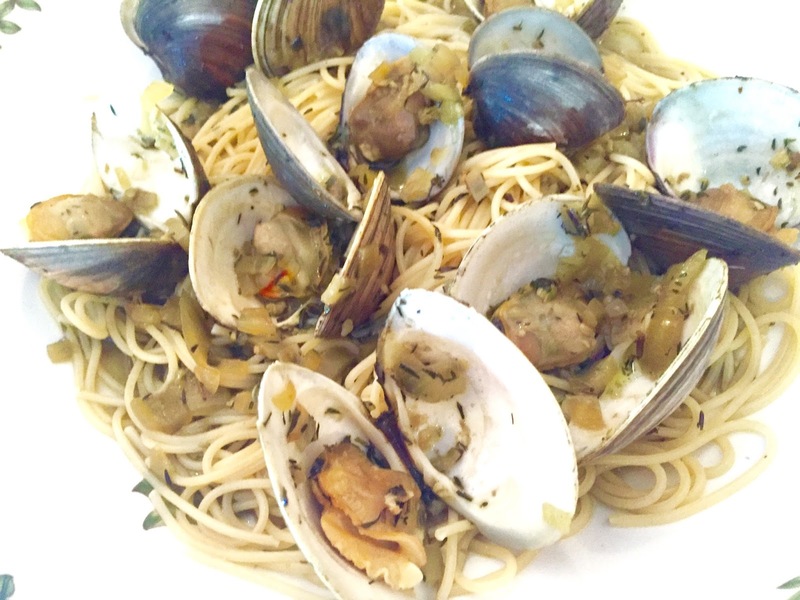 Just add fresh Italian bread, wine and fresh peaches for dessert. Now that says summertime! Whisk olive oil, lemon juice, salt, pepper, basil and thyme in small bowl. In a medium bowl lightly chunk tuna then add celery, scallions, grape tomatoes, olives and capers. Toss with most of the salad dressing. Reserve 2 tablespoons. Line a plate with lettuce. Top with heirloom tomatoes, then drizzle with reserved salad dressing. Place Tuna Salad on top. Blueberries my favorite fruit! If I can stop eating all the fresh blueberries long enough I love to make blueberry pies. There are so many wonderful blueberry pie recipes that I love but this one is perfect for the start of the summer season, Memorial Day! Perfect for a backyard barbecue or to take along to a family reunion, just so wonderfully delicious! If you are short for time or just don’t want to make a your own crust, use store bought refrigerated pie crust which you can find in the dairy section of your grocery store. I have used Pillsbury when I am short on time which is very good. In a large bowl combine flour, sugar and salt. With a pastry blender cut in shortening and butter until mixture resembles coarse corn meal. Sprinkle water over the top and work mixture together with pastry blender or fingers until it comes together to form a ball. Shape dough into ball, wrap in plastic and let rest at room temperature for 1 hour. Filling: Place rack in lower third of oven. Preheat oven to 425 F. (I like to put a piece of aluminum foil down or a baking pan on the bottom of the oven to catch any drips and keep my oven clean.) Place blueberries in large mixing bowl. In a smaller bowl combine the remaining ingredients except butter. Add dry ingredients to blueberries and gently toss. Divide pastry in half. On a floured surface roll one of the pastry halves into a 12 inch round. Fit into 10 inch pie plate, letting the pastry hang over edge. Fill with blueberry mixture. Dot with butter. On a floured surface roll out remaining dough to 12 inch round. Place over pie. Seal edges and crimp to form decorative rim. Glaze: In a small bowl whisk egg yolk and cream. Brush top of pie with glaze. Cut vents into pie top. You can use mini cookie cutters for a more decorative top. Eat your vegetables your Mom always said and she was right! Veggies are so good tasting as well as good for you. Low in calories, fat, no salt, cholesterol or sugar. I love to just saute fresh seasonal veggies for a dinner. I just serve over greens, polenta, farro or any whole grain. I wonderful healthy satisfying meal. Heat olive oil in medium saute pan over medium heat. Add garlic cooking for about 2 minutes. Don’t brown garlic as it will become bitter. Add shallots continuing to cook for another 1 minutes. Next add the red peppers and mushrooms cooking for about 5 minutes. Gently combine tomatoes stirring for another 2 minutes. Add capers, olives, pepper and basil cooking for a few minutes. Place veggie mixture on top of greens. 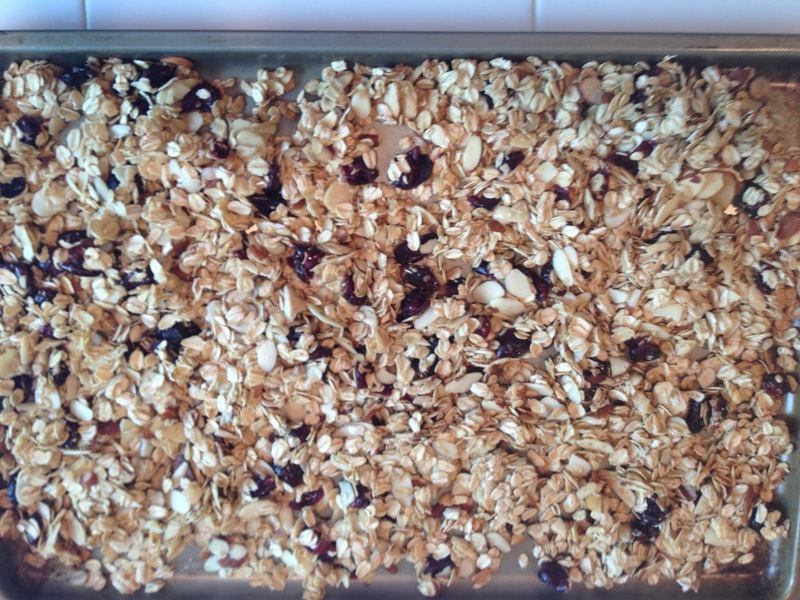 I love Granola for breakfast combined with blueberries and Greek yogurt. 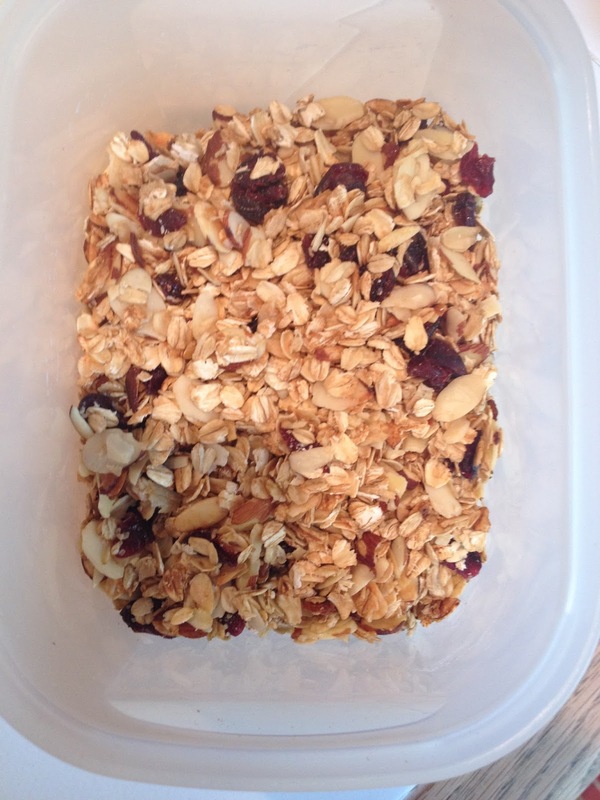 Lately I’ve become concerned with how much sugar store bought granola contains. So I decided to make my own version with less sugar tasting just as flavorful. Preheat oven 300 F. Combine all ingredients in large bowl, tossing until thoroughly combined. Place in sallow baking pan and bake for 10 minutes. Cool before pointing in a air tight container. I like to store in refrigerator to keep fresh. Spring is making an early arrival this year with beautiful warm days and what better way to welcome an spring than with a delicious Asparagus Leek Quiche. Asparagus is now available all year long but I am still think of asparagus and spring together. 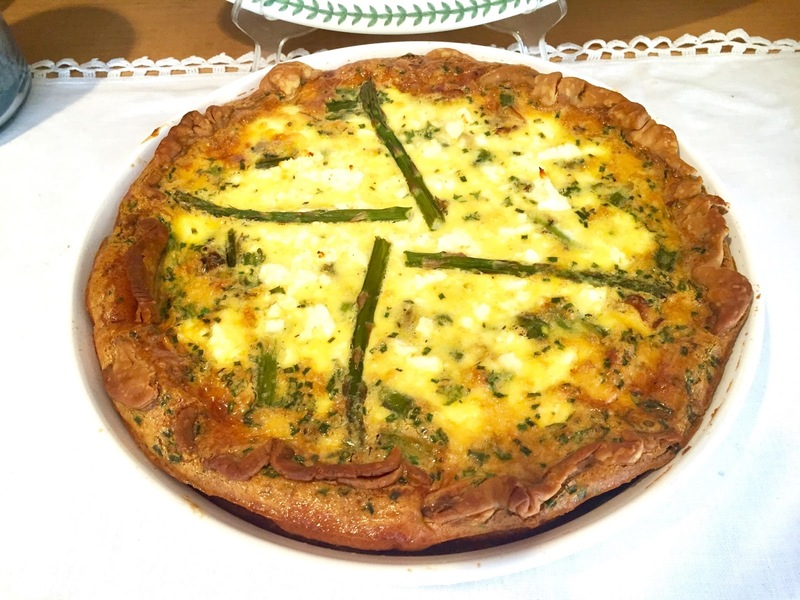 One of my favorite combination is asparagus and leeks which I used in making this rich feta cheese quiche. 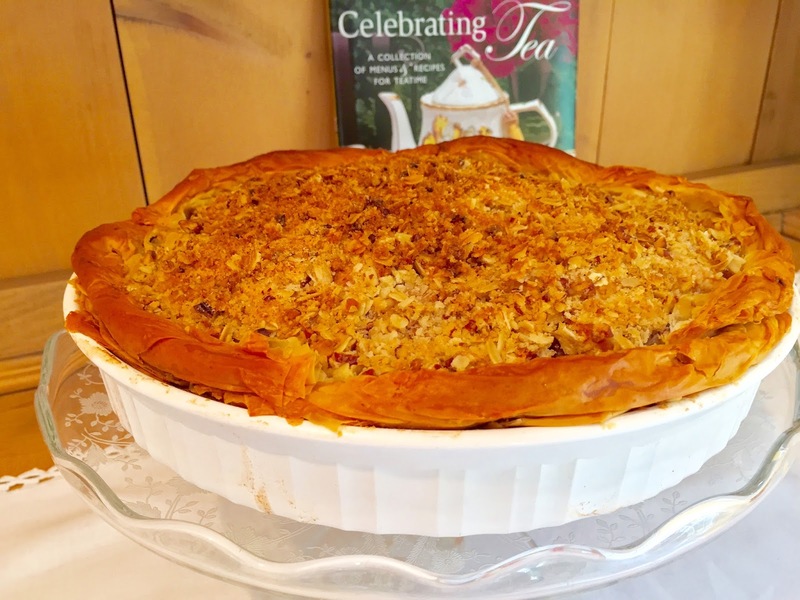 A wonderfully easy dish with store bought piecrust but still tasting so delicious! 1. Preheat oven to 425°F. Unroll piecrusts; stack on a lightly floured surface. Roll stacked piecrusts into a 12-inch circle. Fit piecrust into a 10-inch deep-dish, lightly greased tart pan with removable bottom; press into fluted edges. Trim off excess piecrust along edges. Line piecrust with aluminum foil or parchment paper, and fill to rim with pie weights or dried beans. Place pan on a baking sheet. Bake in preheated oven 14 minutes. Remove weights and foil, and bake until golden brown, 10 to 12 more minutes. Reduce oven temperature to 350°F. Cool piecrust completely on baking sheet on a wire rack, about 15 minutes. 2. Meanwhile, melt butter in a medium skillet over medium-high. Add leeks, scallions and cook, stirring occasionally, until tender and lightly browned, about 10 minutes. Stir in asparagus; sprinkle with 1/2 teaspoon salt and 1/4 teaspoon pepper. Remove from heat, and cool 5 minutes. 3. Whisk together cream, eggs, chives, parsley, nutmeg, and 1 1/2 teaspoons salt and 1/2 teaspoon pepper. 4. Place half of leek mixture (about 1 cup) in tart shell; sprinkle with 1/4 cup feta. Spoon half of cream mixture (about 1 1/2 cups) over feta. Repeat layers once, and sprinkle top with remaining 1/4 cup feta. 5. Bake in preheated oven until set, about 1 hour. Cool on baking sheet on a wire rack 20 minutes before serving.